Robust and fast detection of anatomical structures is an essential prerequisite for the next-generation automated medical support tools. While machine learning techniques are most often applied to address this problem, the traditional object search scheme is typically driven by suboptimal and exhaustive strategies. 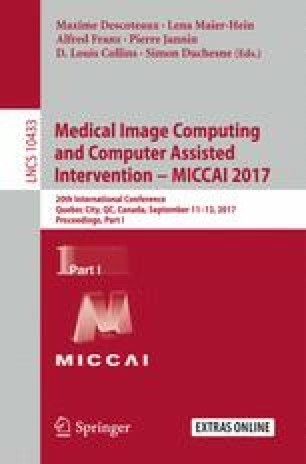 Most importantly, these techniques do not effectively address cases of incomplete data, i.e., scans taken with a partial field-of-view. To address these limitations, we present a solution that unifies the anatomy appearance model and the search strategy by formulating a behavior-learning task. This is solved using the capabilities of deep reinforcement learning with multi-scale image analysis and robust statistical shape modeling. Using these mechanisms artificial agents are taught optimal navigation paths in the image scale-space that can account for missing structures to ensure the robust and spatially-coherent detection of the observed anatomical landmarks. The identified landmarks are then used as robust guidance in estimating the extent of the body-region. Experiments show that our solution outperforms a state-of-the-art deep learning method in detecting different anatomical structures, without any failure, on a dataset of over 2300 3D-CT volumes. In particular, we achieve 0% false-positive and 0% false-negative rates at detecting the landmarks or recognizing their absence from the field-of-view of the scan. In terms of runtime, we reduce the detection-time of the reference method by 15−20 times to under 40 ms, an unmatched performance in the literature for high-resolution 3D-CT.